Location: The Bliss Resorts is located between Legship and Jorthang at about 124 kilometers from Bagdogra airport and 120 kilometers from New Jalapaiguri Railway station. 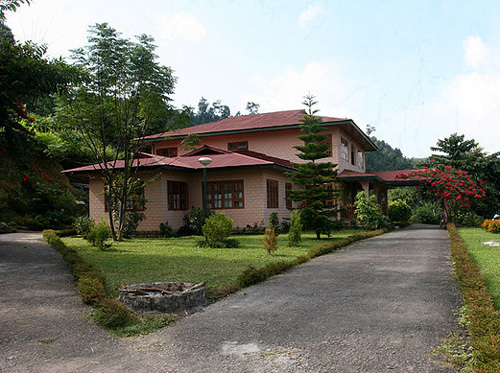 The Bliss Resorts is very near to Pelling. You can see the beautiful and the panoramic views of Mt. Kanchenjunga from the resort. Rooms of the Bliss Resorts: There are two luxury cottages for the guests who needs privacy. Each cottage has a room with attached bathroom, balcony and a garden. Other than these there are two super deluxe rooms and four deluxe rooms. 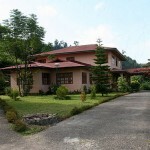 Facilities at Bliss Resorts: The rooms have Colour television, hot and cold running water as room amenities. Transportation to all the destinations will be provided by the Resort if informed earlier. If you are travelling by road on your own, your driver will be provided accommodation free of cost at the Staff Quarters. Dining at Bliss Resorts: Dining facilities are available and the food served is from the local cuisine to Chinese, Indian and continental. Things to do around Bliss Resorts: There are indoor games room, boating/ rafting facilities at NHPC Dam which is located at about half an hour drive from the resort, village tours in the vicinity of the resort etc. You can also enjoy Horse back Riding to the Lhentse monastery and Rahu Ney (Caves).